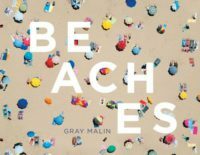 Beaches, Gray Malin‘s awe-inspiring aerial photographs of beaches around the world are shot from doorless helicopters, create playful and stunning celebrations of light, shape, and perspective, as well as summer bliss. Combining the spirit of travel, adventure, luxury, and artistry, Malin built his eponymous lifestyle brand from a deep passion for photography and interior design. His work forges the synergy between wanderlust and adventure, creating the ultimate visual escape.